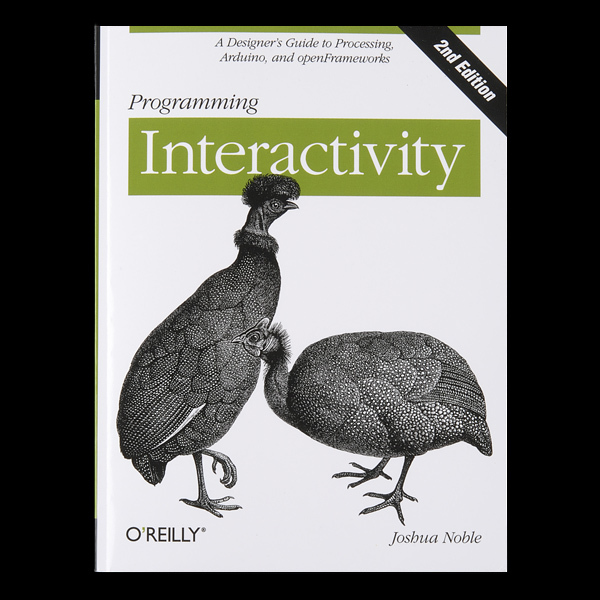 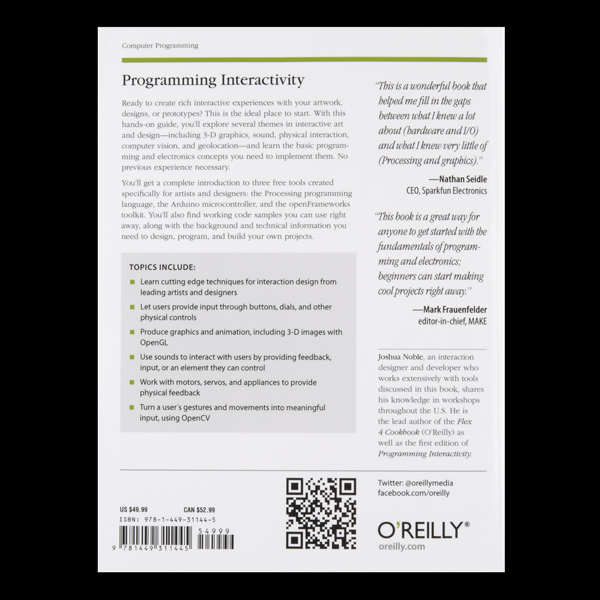 Programming Interactivity is a great new book that covers a wide range of topics. 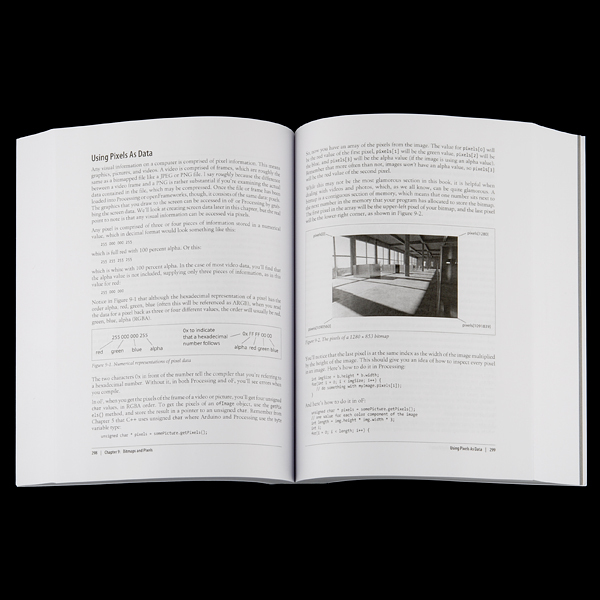 What is different about this book is that it shows hardware geeks like myself that Processing and openFrameworks is not scary - it's actually quite powerful and easy to use! 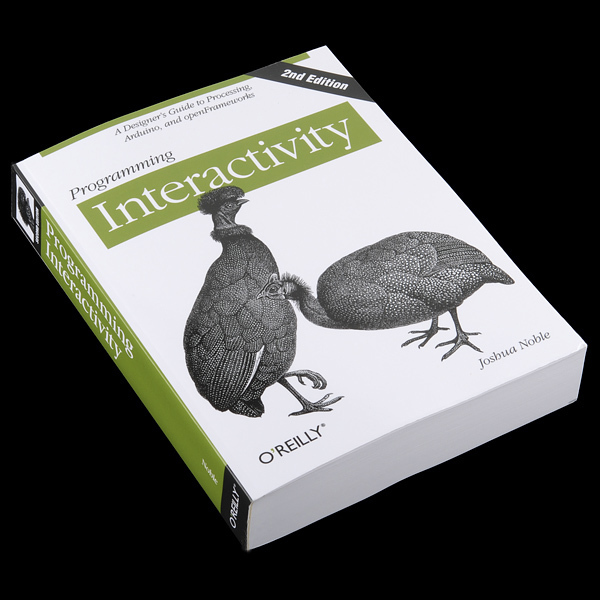 And for the software person that eats Java with a heap of scripting, hardware can un-tether you from a computer and open up a new world of embedded computing.